This topic is listed in Contests - Completed. It has been viewed 3,204 times and 234 replies have been made. 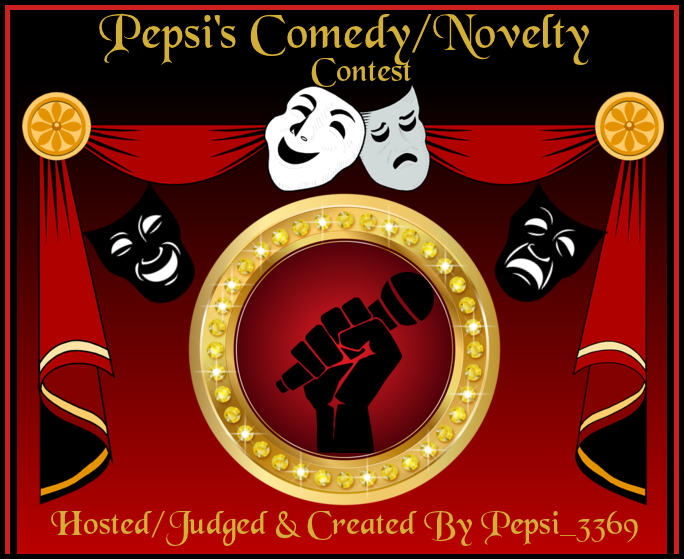 joined me for this fun Comedy/Novelty Contest. Good morning my friend to the endddddddddddd. Awwwwwwww my friend to the end, you can still do something can't ya? Hey Karen sounds like some fun is goin on in here lol can I please claim Ache Breaky song by Weird Al. Good morning to you Alex, so good to see you my friend and yep it's going to be a fun contest. I can not wait to get this place filled up and get to started with my listens over the next couple of days. It's gonna be a blast for sure. Hi..I’m in can I claim ..
Good to see ya and thank you so much for joining us all here. Claiming 'Yes I have no bananas" by Billy Jones. Thanks and cheers for a great contest. Sounds fun. What a GREAT idea darling Karen!! Good morning/afternoon Karen - Would like to claim 'Are You Lonesome Tonight (Senior citizen version)'. Thanks, GB&Hs mdf, Jim. so good to see you all and thank you all so much for joining us all here for this fun contest. Will get you all added to the list along with your claims and song entries. Claiming.... Yes We Have No Bananas. This is gonna be loads of fun !!!!! Will go look for another!! Will get you added to the list while your browsing for another fun song. Well it looks like SS fixed their problem! Thanks for adding me Karen. It's been a rough few days trying to be a supportive friend to a person I have known since high school! Dang, its been hard and emotionally draining so I could use some laughs...without the aid of any alcoholic beverages! Hide the red solo's Aprill! Be back later! Hey Kelly! Good choice. No need to act it out though! Hi ya Janet, no worries my friend and sorry to hear your having a rough few days. Well sit back kick off ya shoes and enjoy the fun songs. good to see you too my friend and thank you so much for joining us all here. Have got you added along with your claim song. 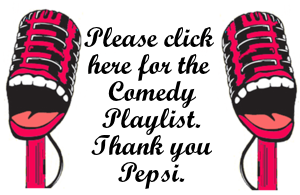 Thank you so much Maureen and Aprill for your comedy entries. Omg I can not wait to start my listen here. 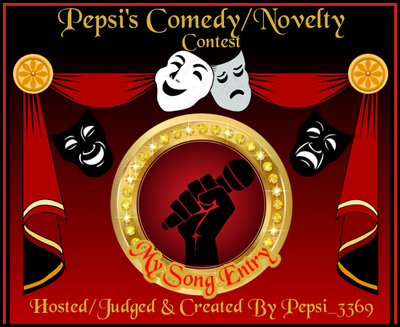 Hi there, as your new to a Pepsi contest can you please join how it's stated at the top of the page so I can get you added to the list. Welcome omazula, Ricky and Charlie and thank you all so much for joining us here for this fun contest. 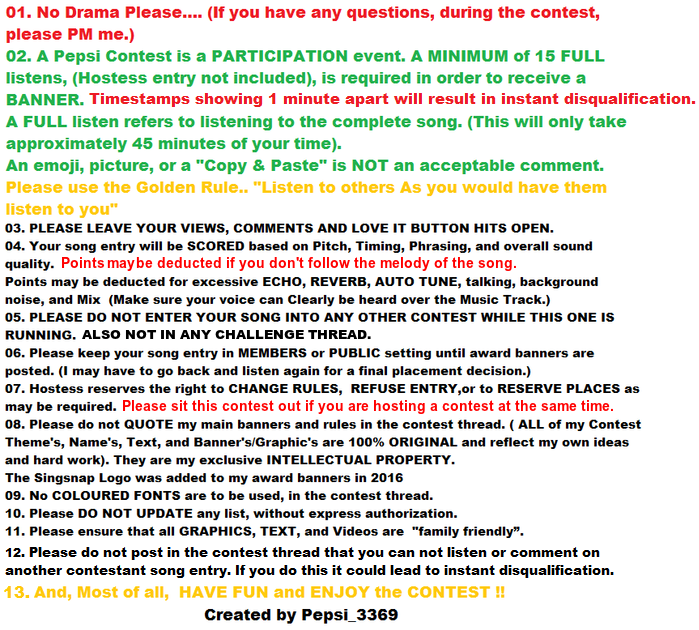 Have you all added to the list along with your claim songs and enjoy the contest my friends.